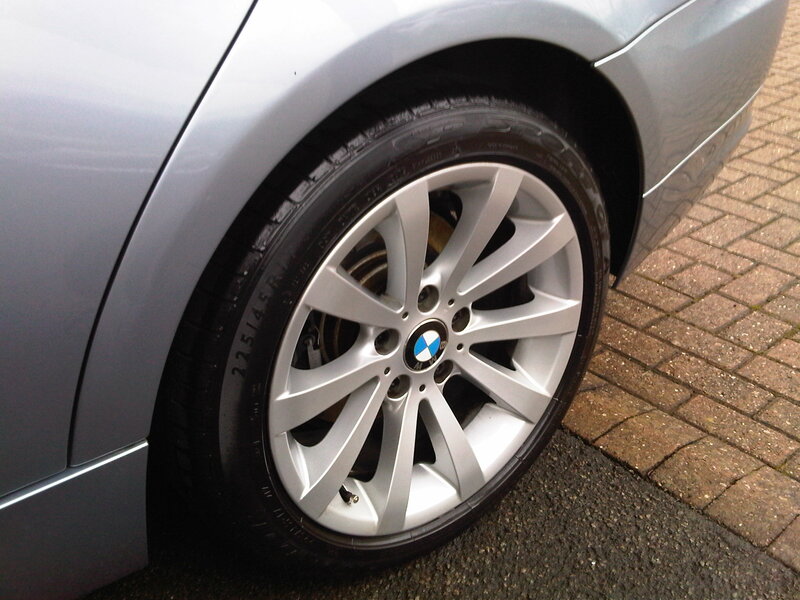 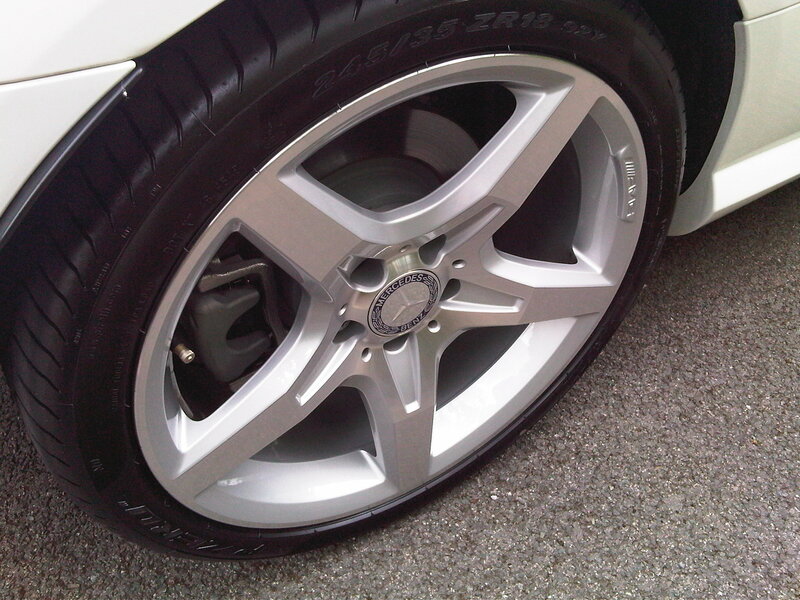 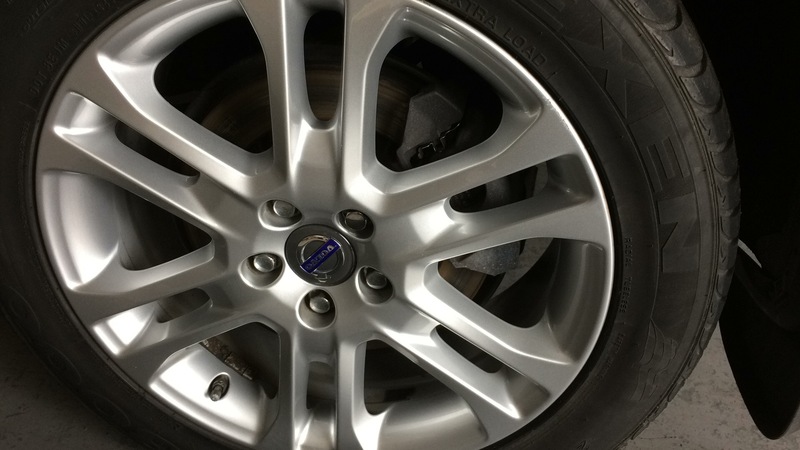 In situations where an alloy wheel has received only minor kerb damage, scuffs or scratches, it is possible to repair just the damaged area of the wheel with the wheel attached and in situ. This type of repair is very cost-effective, quick and convenient, when budget and time are of the essence. 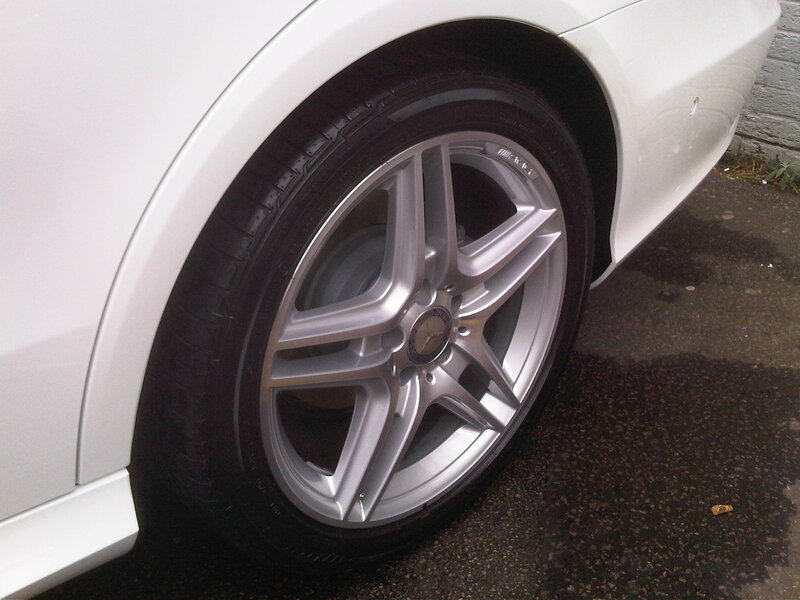 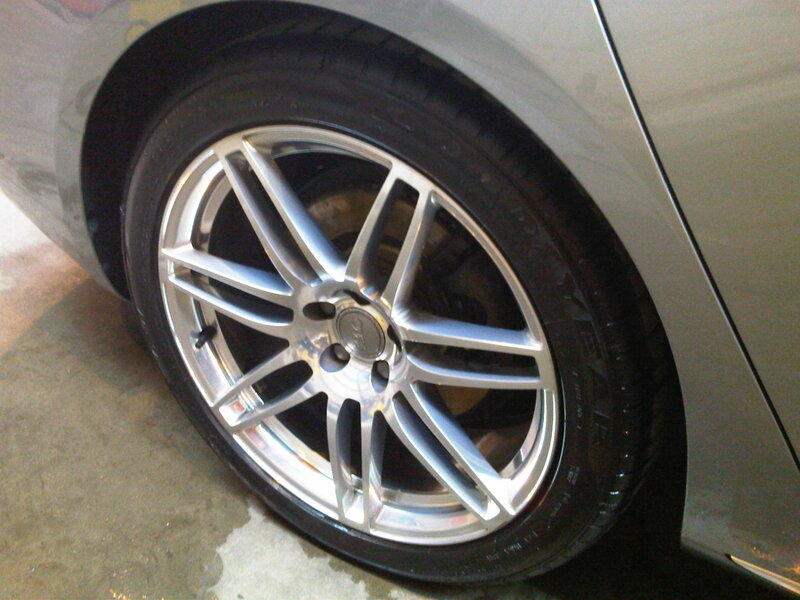 The wheel is thoroughly cleaned, removing as much dirt and contaminants as possible. 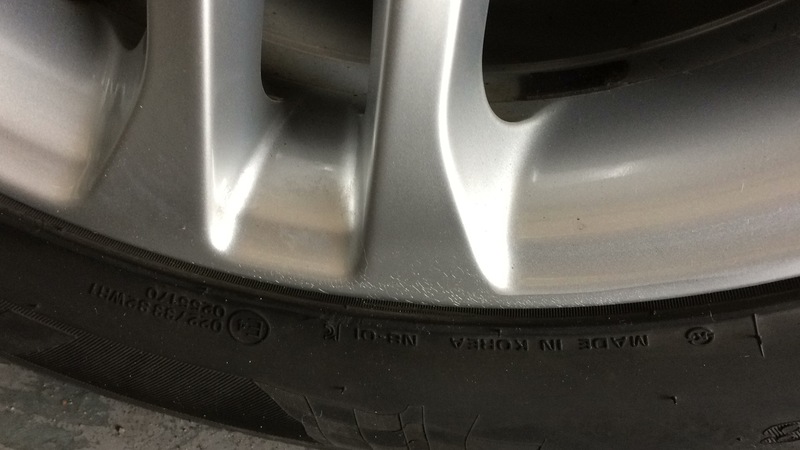 The tyre itself is masked off to protect it for the repair process, then the damaged area is sanded to smooth-out any irregular edges or sharp, high points. Fillers are then applied to build up the area which has been gouged by the initial contact, raising it back up to a level surface. When the filler is set it is once again smoothed out by light sanding. This is followed by applying a layer of primer. The wheel is then re-sprayed to match the rest of the wheel. Once this is cured, a lacquer is applied to add extra protection and gloss. 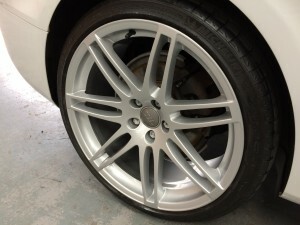 As above, the damaged areas are assessed, sanded, primed, painted and lacquered, but this time the alloy barrel, as opposed to just the alloy face, is also completely treated, ensuring a full rear-to-front repair of the alloy. 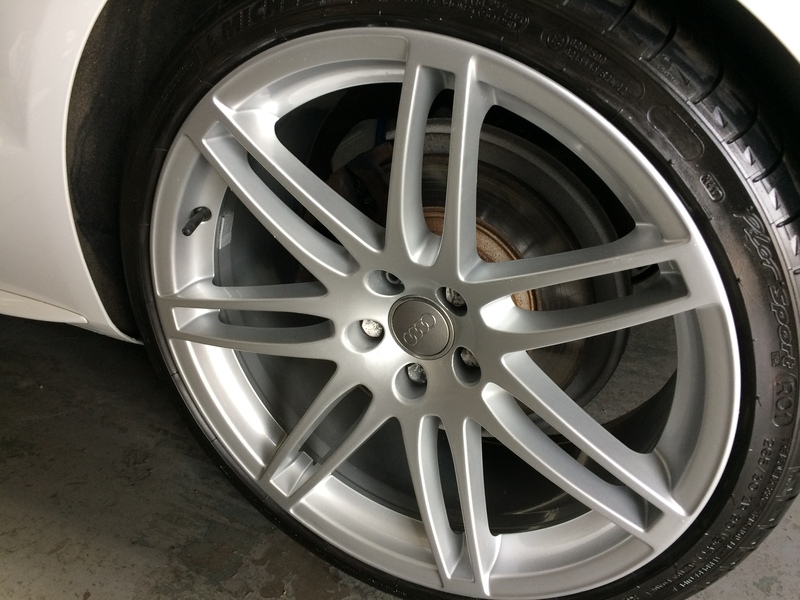 The pictures below show a selection of before and after images of minor damage and fully repaired alloys, with very pleasing results.